Abstract: In the recent soul-searching over how best to protect ourselves against further terrorist attacks, much attention has been focused on the potential vulnerability of the nation's 103 nuclear power plants, including the two reactors at Indian Point in Buchanan, N.Y., some 35 miles north of Times Square along the Hudson River. A group of environmentalists and public officials has petitioned the Nuclear Regulatory Commission to close down Indian Point until it can be made safe from terrorist attack. That seems an overreaction. A shutdown would deprive New Yorkers of a valuable source of electricity even as energy companies are scrambling to build more power plants to meet projected demand. Whatever threat is posed by terrorists can more sensibly be addressed by enhancing the plant's security measures. Nuclear plants are built so robustly that they would seem to present a difficult target for terrorists. Their containment domes have walls three to six feet thick made of concrete reinforced with embedded steel bars and a half-inch steel liner. The reactor itself, tucked way down inside the dome, is protected by another thick slab of reinforced concrete. In one dramatic test years ago, a fighter jet was catapulted into a mock containing wall at nearly 500 miles per hour. The plane disintegrated into a pile of dust; the wall suffered a two-inch scratch. Nobody knows what would happen if a much bigger jumbo jet loaded with fuel dived into a containment dome. Engineers at Entergy, the company that operates Indian Point, feel confident that their dome could withstand even that level of force. But some experts say a jumbo jet, or at least its engines, might break through the dome and ignite a fire or explosion that could cause enough disruption to start the reactor toward meltdown and release of radioactivity into the atmosphere. Nuclear regulators will need to assess the likelihood of that sequence and find ways to mitigate the consequences (New York Times, 2011). Abstract: Protection of nuclear power plants from land-based assaults, deliberate aircraft crashes, and other terrorist acts has been a heightened national priority since the attacks of September 11, 2001. The Nuclear Regulatory Commission has strengthened its regulations on nuclear reactor security, but critics contend that implementation by the industry has been too slow and that further measures are needed. Several bills to increase nuclear reactor security measures and requirements were introduced after the 9/11 attacks, along with provisions in an omnibus energy bill considered in the 108th Congress (H.R. 6). None of those measures were enacted, but further action on omnibus energy legislation is anticipated in the 109th Congress. This report will be updated as events warrant. Nuclear power plants have long been recognized as potential targets of terrorist attacks, and critics have long questioned the adequacy of the measures required of nuclear plant operators to defend against such attacks. Following the September 11, 2001, attacks on the Pentagon and the World Trade Center, the Nuclear Regulatory Commission (NRC) began a “top-to-bottom” review of its security requirements. On February 25, 2002, the agency issued “interim compensatory security measures” to deal with the “generalized high-level threat environment” that continued to exist, and on January 7, 2003, it issued regulatory orders that tightened nuclear plant access. On April 29, 2003, NRC issued three orders to restrict security officer work hours, establish new security force training and qualification requirements, and increase the “design basis threat” that nuclear security forces must be able to defeat. Operating nuclear reactors contain large amounts of radioactive fission products which, if dispersed, could pose a direct radiation hazard, contaminate soil and vegetation, and be ingested by humans and animals. Human exposure at high enough levels can cause both short-term illness and death, and longer-term deaths by cancer and other diseases. To prevent dispersal of radioactive material, nuclear fuel and its fission products are encased in metal cladding within a steel reactor vessel, which is inside a concrete “containment” structure. Residual heat from the radioactive fission products could melt the fuel-rod cladding even if the reactor were shut down. A major concern in operating a nuclear power plant, in addition to controlling the nuclear reaction, is assuring that the core does not lose its coolant and “melt down” from the heat produced by the radioactive fission products within the fuel rods. Therefore, even if plant operators shut down the reactor as they are supposed to during a terrorist attack, the threat of a radioactive release would not be eliminated. Commercial reactor containment structures — made of steel-reinforced concrete several feet thick — are designed to prevent dispersal of most of a reactor’s radioactive material in the event of a loss of coolant and meltdown. Without a breach in the containment, and without some source of dispersal energy such as a chemical explosion or fire, the radioactive fission products that escaped from the melting fuel cladding mostly would remain where they were. The two meltdown accidents that have taken place in power reactors, at Three Mile Island in 1979 and at Chernobyl in the Soviet Union in 1986, illustrate this phenomenon. Both resulted from a combination of operator error and design flaws. At Three Mile Island, loss of coolant caused the fuel to melt, but there was no fire or explosion, and the containment prevented the escape of substantial amounts of radioactivity. At Chernobyl, which had no containment, a hydrogen explosion and a fierce graphite fire caused a significant part of the radioactive core to be blown into the atmosphere, where it contaminated large areas of the surrounding countryside and was detected in smaller amounts literally around the world. Nuclear power plants were designed to withstand hurricanes, earthquakes, and other extreme events, but attacks by large airliners loaded with fuel, such as those that crashed into the World Trade Center and Pentagon, were not contemplated when design requirements were determined. A taped interview shown September 10, 2002, on Arab TV station al-Jazeera, which contains a statement that Al Qaeda initially planned to include a nuclear plant in its 2001 attack sites, intensified concern about aircraft crashes. In light of the possibility that an air attack might penetrate the containment building of a nuclear plant, some interest groups have suggested that such an event could be followed by a meltdown and widespread radiation exposure. Nuclear industry spokespersons have countered by pointing out that relatively small, low-lying nuclear power plants are difficult targets for attack, and have argued that penetration of the containment is unlikely, and that even if such penetration occurred it probably would not reach the reactor vessel. They suggest that a sustained fire, such as that which melted the structures in the World Trade Center buildings, would be impossible unless an attacking plane penetrated the containment completely, including its fuel-bearing wings. Recently completed NRC studies “confirm that the likelihood of both damaging the reactor core and releasing radioactivity that could affect public health and safety is low,” according to NRC Chairman Nils Diaz. However, NRC is considering studies of additional measures to mitigate the effects of an aircraft crash (CRS Report, 2005). Abstract: Could terrorists target U.S. nuclear power plants? On October 18, 2001, there was what was initially called a “credible threat” to the Three Mile Island nuclear power plant in Pennsylvania, the site of America’s worst nuclear accident, which occurred in 1979. The threat closed down two nearby airports for four hours, and military aircraft were sent to patrol the area. But by the next morning, the threat was dismissed and the alert canceled (CFR, 2006). Abstract: The United States is woefully unprepared to protect its nuclear power plants from a terrorist attack, a former CIA officer divulged on CNN.com yesterday. Charles S. Faddis, the former head of the CIA's unit on terrorism and weapons of mass destruction, writes that he investigated security measures at many U.S. nuclear power plants during research for a book on the state of U.S homeland security. He found them wanting. His call to secure these sites comes after President Barack Obama guaranteed $8 billion in government loans to a company to construct two new nuclear power plants in Georgia. "[B]efore we start building reactors we need to address another urgent matter," he writes. "We need to make current reactors secure." A terrorist attack against a nuclear power plant isn't a theoretical vulnerability, Faddis, the author of "Willful Neglect: The Dangerous Illusion of Homeland Security," explains. Last month, Yemen detained a Somali-American man in a roundup of suspected al Qaeda militants. New Jersey-native Sharif Mobley subsequently came to the attention of the U.S. media last week when he shot and killed a hospital guard in an escape attempt in the Yemeni capital of Sana'a. Prior to leaving the United States for Yemen, Mobley worked at three different nuclear power plants from 2002 to 2008, the Daily News reports. Faddis also reminds readers that 9-11 mastermind Khalid Sheikh Mohammed originally wanted to crash airliners into nuclear power plants as part of the 9-11 terrorist operation. A chief problem, writes Faddis, is how nuclear power plants utilize and treat private security guards who protect its facilities. After 9-11, the Nuclear Regulatory Commission (NRC) increased the amount of private security guards nuclear plants had to have on shift to secure the facility. Faddis writes that, on average, most plants now field 20 private security guards per shift, up from five to ten mandated by the NRC before 9-11. Considering the damage a terrorist attack on a nuclear plant could do, he finds these numbers significantly too low to adequately protect the perimeter of such large facilities. But Faddis' real gripe is with how security guards at nuclear power plants are hired and trained, which ensures guards cannot successfully defend such a prime target from a sophisticated terrorist attack. Faddis writes that even when private security guards are put through attack scenarios that handicap terrorist forces—no rocket launchers or machine guns—guards fail to repel the attack at least half the time. Furthermore, terrorists would only need a basic understanding of plant operations to cause a nuclear meltdown. The vulnerability is clear to Faddis. "Before we move ahead with any new nuclear power plants, let's attend to unfinished business and fix security at the ones we have" (Security Management, 2010). Title: Could Terrorists Infiltrate Nuclear Power Plants? Abstract: The Nuclear Regulatory Commission should be given better access to criminal databases and foreign travel history to try to keep terrorists from getting jobs inside the nation's nuclear power plants, federal auditors said in a report released Monday. Shoppers hit the stores across the country before dawn in the ritual known as Black Friday in a year when many major retailers moved their openings earlier into Thanksgiving night, allowing the annual frenzy to start at a more civilized hour. The commission's inspector general, at the behest of Sen. Charles Schumer and Rep. Bill Owens, began the review after a suspected al-Qaida member, Sharif Mobley, was found to have worked at six U.S. nuclear power plants over six years. "The terrorists look for our weak pressure points and it's certainly possible they may say, 'Maybe we can send someone to infiltrate a nuclear power plant'," said Schumer, of New York. "It's not that these power plants are rife with terrorists ... but all you need is one." Mobley's arrest last March in Yemen shows that the nation needed better security to protect nuclear plants from terrorist infiltration, and the NRC "truly stepped up to the plate and provided concrete, actionable recommendations that can be put in place immediately," Schumer said. "Mobley had unescorted access to these sites; however, he did not have access to safeguards information or computer systems," the audit by the NRC's inspector general stated. "Based on discussions with affected licensees, NRC management stated that there was no evidence to indicate that Mobley had been 'radicalized' prior to his most recent employment at Salem/Hope Creek" in New Jersey, the audit said. The NRC generally agreed with the findings and is working on the recommendations. It said its access program was already "robust." "We had already started working on some issues and enhancements," said NRC spokeswoman Holly Harrington. "We do expect other enhancements based on their recommendations that will be implemented in the future." "It is well past time that these safeguards are put in place," said Owens, D-N.Y. Allowing the NRC direct access to a background data on power plant employees nationwide. Implementing procedures to ensure more regular monitoring of a "watch list." Under the procedure, anyone with access to a nuclear plant will be checked against a terrorist watch list on a more frequent basis. For security reasons, the interval wasn't disclosed. Improving employee training in detecting and reporting "behaviors associated with terrorist intent." Mobley is under arrest in Yemen. He had passed criminal background checks and worked as a laborer at nuclear power plants without incident. Mobley worked as a laborer at six nuclear power plants from 2002 to 2008. Mobley worked mostly at the Salem/Hope Creek nuclear plants (76 weeks), but also at Calvert Cliffs in Maryland (2 weeks) as well as Three Mile Island (2 weeks), Peach Bottom (4 weeks) and Limerick (4 weeks), all three of which are in Pennsylvania (MSNBC, 2010). Abstract: 'Stress testing' of the European Union's 143 nuclear power reactors will not specifically include terrorism after that idea was rejected by national safety regulators. Instead, the tests will focus on the aspects of nuclear plant safety highlighted by the Fukushima accident: earthquakes and flooding as natural events, as well as loss of safety functions and severe accident management following any initiating event. The tests will be applied to the 143 nuclear reactors in the European Union's 27 member states, as well as those in any neighbouring states that decide to take part. Results are to be peer reviewed and shared between regulators, which retain sovereign authority on nuclear safety entirely above any powers of the European Commission or the European Council, which decided to carry out 'stress tests' on 21 March. Representing the independent regulators of the EU, the European Nuclear Safety Regulators Group (ENSREG) said security issues like terrorism prevention and response were outside its mandate. It nevertheless noted the stress test analyses would be relevant for the eventuality of aircraft crash. The push to include deliberate criminal attack had been led by Günther Oettinger, a German appointee to the European Commission selected for the energy brief. Despite gaining support from anti-nuclear countries such as Austria and Germany, Oettinger faced vehement opposition from nuclear users like France and the UK on national security grounds. For now, full consideration of security issues such as terrorism has been placed aside to be handled by a special working group of EU states and the EC. The 'mandates and modalities' of this group are to be set by the European Council. Today Oettinger's staff used finely-tuned language to link the tests with terrorism: "These are comprehensive tests as the Commission has called for which embrace both natural and man made hazards (i.e. effects of airplane crashes and terrorist attacks)." They further emphasised in Q&A documents that aircraft crashes could be included among man-made events. That possibility actually lies with national regulators, which must submit their specifications to nuclear licensees by 1 June. Two 'initiating events' are covered in the scope: earthquake and flooding. The consequences of these - loss of electrical power and station blackout, loss of ultimate heat sink and the combination of both - are to be analysed, with the conclusions being applicable to other general emergency situations. In accident scenarios, regulators will consider power plants' means to protect against and manage loss of core cooling as well as cooling of used fuel in storage. They will also study means to protect against and manage loss of containment integrity. Nuclear plant operators are to begin work on a document for each power plant site. This analysis of 'extreme scenarios' will follow what ENREG called a progressive approach "in which protective measures are sequentially assumed to be defeated" from starting conditions which "represent the most unfavourable operational states." The operators have to explain their means to maintain "the three fundamental safety functions (control of reactivity, fuel cooling confinement of radioactivity)" and support functions for these, "taking into account the probable damage done by the initiating event." For severe accident management scenarios they must identify the time before fuel damage is unavoidable and the time before water begins boiling in used fuel ponds and before fuel damage occurs. Measures to prevent hydrogen explosions and fires are to be part of this. Operators should send a progress report on their work to their regulators by 15 August and a final version by 31 October. Regulators are to report progress to the European Commission on 15 September and in full by 31 December. Information is to be shared among regulators throughout this process before the final reports go to peer-review by teams appointed by ENREG and the European Commission. The final documents will be published in line with national law and international obligations, provided this does not jeopardise security - another area where each country may behave differently (WNN, 2011). Abstract: Secretive North Korea is making rapid progress in building a uranium-fuelled reactor that poses an alarming safety risk, a nuclear expert said on Thursday. Siegfried Hecker, who has visited the North's main Yongbyon nuclear facility four times since 2004 and was the last foreign expert to visit the site in late 2010, said he was very concerned the reactor could be technically flawed. "In spite of their industrial difficulties they have continued to build it at a good pace," he told Reuters in a telephone interview from Stanford University in the United States. "What alarms me is that I have never had the sense they had the sufficient regulatory oversight in order to be able to build this thing safely, and operate it safely," he said, adding the lightwater reactor could be operational in two years. "From a technical standpoint, they should not proceed with the completion of the reactor and operate it on the basis of lack of connection with the international safety community. That is just too high of a risk." A series of satellite images taken over the past year were proof that the impoverished state was serious about finishing the reactor, Hecker said, even as it struggled to feed millions of its undernourished population. Analysts say the North's new young leader, Kim Jong-un, will continue with his father's militaristic policy, conscious that the support of the powerful army is vital to a third generation of Kim-family rule. The United States and South Korea say the uranium enrichment facility and reactor are in breach of agreements reached with North Korea, and demand that it halt all nuclear activities before they will consider a resumption of aid. The reactor appeared to be designed for generating electricity, Hecker said, but coupled with a nearby uranium enrichment facility, the complex could be converted for use in making an atomic bomb along with its plutonium program. North Korea has tested nuclear devices twice and experts say it has enough fissile material to make six to eight nuclear bombs. Pyongyang expelled international nuclear inspectors in 2009, a few months after aid-for-denuclearization talks broke down. Hecker said the United States and South Korea found themselves in the dilemma of do they try force the North to stop construction of the experimental reactor, or do they allow North Korea to proceed and offer to help to avert a nuclear disaster? "The international and political community has another couple of years to come to a resolution," said Hecker, who previously directed the Los Alamos National Laboratory where the atomic bomb was developed. He said one solution, although difficult to swallow for the United States and South Korea, was to allow experts from China, the North's main ally and benefactor, to assess the facility's safety. Hecker said the biggest concern was that a seismic event could trigger a power cut at Yongbyon, drawing a comparison to the meltdown at the Fukushima plant in Japan last year. Although the Korean peninsula is not prone to major earthquakes, minor tremors are frequent. There is also concern about volcanic activity in the North. The Yongbyon nuclear complex is little more than 100 km (60 miles) from China and about 200 km (120 miles) from South Korea (Chicago Tribune, 2012). Abstract: The risk to public health from a severe nuclear power plant accident in the United States is "very small" because reactor operators should have time to prevent core damage and reduce the release of radioactive materials, U.S. nuclear regulators said in a study on Wednesday. Some of the nation's biggest nuclear power operators include units of Exelon, Entergy Corp, Duke Energy, Progress Energy and Dominion (Fox News, 2012). Title: Are We In The "Breakdown" Faze Of Nuclear Power? Abstract: California's San Onofre nuclear power plant had to be unexpectedly shut down after radioactive water was discovered leaking out of the plant's Unit 3 reactor. Officials claim the leak is fully contained within the concrete dome of the plant. This comes at the same time that the Nuclear Regulatory Commission is warning that aging nuclear plants in the eastern and central portion of the United States might not be able to withstand an earthquake and its effects (RT, 2012). Title: Is a Fukushima-Level Event Inside The United States A Foregone Conclusion? Abstract: Fukushima has been an unfortunate wake-up call to the planetary fallout that nuclear power harnesses. As the ongoing meltdown continues in Japan, it is forcing many to investigate myriad similar reactors that directly threaten other parts of the globe. This past week the San Onofre reactor located in Southern California came under intense scrutiny, as it was revealed that a “small” leak had occurred, prompting a shutdown. There are clear indicators that other nuclear power plants in the East and Midwest are showing signs of deterioration, which some are concluding increases the likelihood of a Fukushima-style meltdown, or worse, inside the United States if nature were to push one of these facilities beyond its breaking point, as we witnessed in Japan. The video below outlines a “breakdown phase” we seem to have entered, and the consequences of the release of the radioactive isotope, tritium, which directly affects DNA structure (Infowars, 2012). Abstract: The United States has approved its first new nuclear power reactors in decades, despite objections from the country's top regulator that safety issues raised by last year's Fukushima meltdown were not fully addressed. Commissioners of the Nuclear Regulatory Commission (NRC) voted 4-1 to approve the construction of two 1,100-megawatt Westinghouse-Toshiba AP1000s at power generator Southern Company's existing nuclear facility in Vogtle, Georgia. The dissenter was NRC chairman Gregory Jaczko, who argued for the need for "binding commitments" that the builders would implement design fixes to fully address risks exposed by the crisis at Japan's Fukushima nuclear plant after last year's earthquake-tsunami disaster. "I cannot support issuing this licence as if Fukushima has never happened... in my view that is what we are doing," he said. But the other commissioners said such a commitment was not necessary and that Mr Jaczko's concerns would be addressed. "Imposing the licence condition suggested by chairman Jaczko would neither improve this effort nor make a difference in the operational safety of new reactors," they said in their decision. The approval gave the go-ahead for the $US14 billion project near Waynesboro, Georgia, seven years after Southern Company first applied for permission. Construction at the site is well underway and Southern said the first reactor could be running by 2016 and the second a year later. The design is supposed to be able to withstand the impact of a large aircraft being crashed into it (ABC News, 2012). Abstract: The U.S. should customize emergency plans for each of the nation's 65 nuclear power plants, a change that in some cases could expand the standard 10-mile evacuation zone in place for more than three decades, an expert panel is recommending. That's one of the lessons to emerge in a 40-page report to be released Thursday on the eve of the Japan nuclear disaster's one-year anniversary from a committee that examined the incident for the American Nuclear Society. The panel includes a former chairman of the Nuclear Regulatory Commission, a fellow at an Energy Department laboratory and seven other nuclear scientists. Under rules in force since 1978, communities near nuclear plants must prepare federally reviewed evacuation plans only for those living within 10 miles of the facility. That's because in a severe accident most of the early deaths -- those from radiation sickness, not cancer -- are predicted to occur within the first 10 miles. While that zone can be adjusted during an accident, the panel says emergency plans should account for how each nuclear power plant would react in a disaster before it happens. "It's a matter of planning," said Michael Corradini, director of the University of Wisconsin's Institute of Nuclear Systems and the panel's co-chair. "For certain types of events and certain severities, they may change how they evacuate, or who would evacuate." An AP investigation in June found that populations around the nation's nuclear power plants have swelled since the facilities were first built but that little has been done to account for the difficulties associated with evacuating so many more people. "So if we needed to take action beyond 10 miles, that's certainly what we would recommend," Jaczko said after touring the Indian Point nuclear complex, about 25 miles from New York City, last year. The report also found the basis for the NRC's recommendation that Americans living within 50 miles of Japan's Fukushima plant leave the area "puzzling." The 50-mile zone was greater than Japanese officials recommended for their own citizens after the March 11 earthquake and tsunami crippled the Fukushima facility (Fox News, 2012). Abstract: “Several thousand gallons” of water containing as much as five-times the government’s “safe” level of radioactive tritium was accidentally released at Exelon Nuclear’s Limerick Generating Station last month and then flushed into the Schuylkill River, The Mercury learned Thursday. However the concentrations of contamination in the water were considered so low that they presented “no immediate health and safety concerns,” according to the Nuclear Regulatory Agency, which is why the incident was not reported publicly until 23 days after it happened. It was 3 a.m. Monday, March 19 when “a manhole cover overflowed during a scheduled and permitted radiological release,” according to an incident report posted on the NRC web site. “Several thousand gallons of water [...] was discharged” through a permitted discharge to Possum Hollow Creek, which flows from the plant grounds into the Schuylkill River,” according to information from the NRC. Exelon estimated something less than 15,000 gallons, was legally dumped into the Schuylkill River, which is a drinking water source for several downstream communities, including Phoenixville and Philadelphia. “It’s important to note that the Limerick and other nuclear power plants routinely release slightly radioactive water to the river, but the releases must be controlled and any levels of radioactivity well within allowable limits,” [NRC's] Sheehan wrote. “Regardless, we made the courtesy notifications because we like to keep stakeholders and community members informed” -Dana Melia, communications manager for the Limerick Generating Station (ENENews, 2012). Abstract: Like a dark family secret long suspected but never confirmed, the shock of discovery is all the more lurid for coming into the light years later. So it is with the news of radioactive material released into the air -- at levels higher than any seen in the nation -- at closed nuclear fuels plants in Armstrong County. The plants operated in Apollo and Parks Township from 1958 through 1984. Mr. Ring found "numerous large-scale releases of ionizing radiation into the neighboring environment" during the operating lives of the plants. The emissions added up to "the largest quantity ... of any nuclear facility in the United States." But putting dirty plants in neighborhoods -- something that should never have been done, Mr. King wrote -- was only one part of the equation. Worse yet, he cited internal documents that said the operators knew of the problems that began with faulty construction but never did enough to stop them. These revelations are not news to those who live near the plants -- after all, they are the basis of the allegations in the lawsuits. Patricia Ameno, a plaintiff in a previous round of litigation, told Post-Gazette reporter Rich Lord that, due to health problems, "A lot of people have lost not only their entire savings but their homes." Families have been torn apart by illnesses and deaths, she said. The lawsuits, brought by plant workers and neighbors in 2010, are before U.S. District Court Chief Judge Gary L. Lancaster, who will have the ultimate say on Mr. Ring's report and other expert opinions filed. But on the face of it, what happened at the old plant sites seems an outrage. While the Apollo site has since been cleaned up, a lesson can be drawn. The nuclear industry -- which this newspaper has long supported -- doesn't lack for regulation, and indeed the Atomic Energy Commission and the Nuclear Regulatory Commission sometimes cited the facilities over the years. But apparently not enough. That raises a larger point: We live at a time when conservative politicians are strongly pushing the idea that prosperity will come when free enterprise is allowed to operate unfettered by regulations -- as if the natural laws of human behavior have been repealed. To see how that might work out, a person need only go to Armstrong County and ask the people who live there (Post-Gazette, 2012). Abstract: Southern California Edison announced Friday that it will collaborate with the Scripps Institution of Oceanography on seismic studies looking at offshore faults near the San Onofre nuclear plant, beginning later this year. The plant is currently out of service while Edison tries to determine what is causing steam generator tubes that carry radioactive water to wear out more quickly than they should. One tube sprang a leak Jan. 31, releasing a small amount of radioactive steam and prompting the plant to be taken offline. Since then, 509 out of about 39,000 tubes in the two working reactor units have been taken out of service because of excessive wear (LA Times, 2012). Abstract: With the memorial ceremonies over for another year, the hard work of building a new permanent shelter to secure the stricken Chernobyl nuclear plant has begun. After the explosion 26 years ago reactor four was encased in cement at great risk to those who completed the work. Now that is to be replaced with a new sarcophagus, but are things any safer today? “Because of the construction work they’ve dug down to the level where the nuclear fuel and graphite lay. As a result the level of radioactivity in the air has risen. While the work is going on the level of the radioactivity in the air exceeds the sanitary norm by hundreds, perhaps thousands of times,” warned construction expert Yuri Andreyev. Once the digging is finished experts say there will be no danger from the dust at the site. But to reassure the builders and technicians there are regular health checks. Each person is monitored and his or her exposure to radiation is controlled. Euronews reporter Angelina Kariakina said: “The experts believe the encasement doesn’t solve the main Chernobyl problem, that of the nuclear waste inside the demolished reactor. But there is currently no chance of moving it to a safer storage facility” (Eurones, 2012). Abstract: A Kodak industrial facility in Rochester, N.Y., was home to a little-known nuclear reactor containing weapons-grade uranium, the Democrat and Chronicle newspaper reported. The research reactor -- which was the size of a refrigerator -- was housed in a bunker underneath one of the buildings at the former Kodak Park site, the newspaper reported. Kodak used it to check chemicals and other materials for impurities, as well as testing imaging techniques. Although the reactor was not a secret, it was unclear if Kodak informed police and fire departments of its existence. Local authorities were also unaware of its existence. The reactor contained more than 3lbs (1.36kg) of highly enriched uranium -- the same material used to construct nuclear weapons. The uranium was removed in November 2007 in protective containers, the report said. Company spokesman Christopher Veronda said he could find no record that Kodak ever publicly announced the reactor. Albert Filo, a former Kodak research scientist who worked with the device for nearly 20 years, told the newspaper, "It was a known entity, but it was not well-publicized." Information on nuclear power plants has been restricted since the 2001 terrorist attacks. Kodak employed the device to carry out research into neutrons -- subatomic particles that can create an image of a material without damaging it. In 1974, it acquired a neutron flux multiplier -- which multiplies the neutrons flowing from the core of the reactor. Access to the chamber was restricted, and no one was allowed into the room while the reactor was in operation. Veronda said, "This device presented no radiation risk to the public or employees. 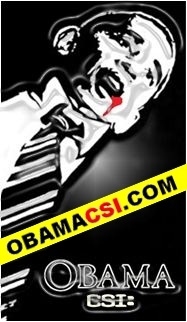 Radiation from the operation was not detectable outside of the facility" (Fox News, 2012). Abstract: A nuclear nightmare on par with the Fukushima disaster could have unfolded at a power plant outside of Los Angeles, California, federal regulators reveal to the Associated Press in a just-published report. Following an incident at the San Onofre power plant this past January, federal regulators have investigated conditions at the facility around 70 miles south of Los Angeles. Now after months of meticulous investigating, regulators involved in the probe tell the AP that design flaws have caused the tubing that carries radioactive water throughout the plant to be worn down extensively. A scare back in late January led to the temporary shut-down of the San Onofre power station. Nearly six months after the fact, however, the twin-reactor remains idle as investigators wrap up their thorough report. And much to the chagrin of management at the plant, it looks as if the leak suffered earlier this year wasn’t just a fluke. "The phenomenon that we think causes this tube-to-tube interaction is definitely proportional to the power," Collins adds. "At least in some theoretical sense, that might be part of the answer." The rest of the answer might be a ways in the future, though. Although regulators believe they have pin-pointed the culprit at San Onofre, actually correcting the issue is a whole other story. Of particular concern is also the age of the components believed to be behind the leak. The plant’s current steam generators were installed as replacement in 2009 and 2010 at a cost of $670 million. “The integrity of steam-generator tubes is important because the tubes provide an additional barrier inside the containment building to prevent a radioactive steam release,” the report adds. "It's not too hard to frame up the problem," Collins says. "The answers are very difficult, or they already would have emerged." Unit 2 of the San Onofre facility was shut down for routine maintenance and upgrades earlier this year when the plant’s crew was forced to halt operations of Unit 3 upon discovering the leak. A meeting is being held Monday night to dsicuss the specifics of the report. In a statement released by the groups Residents United for a Safe Environment and San Clemente Green, critics of the plant say "the crippled San Onofre nuclear power plant has posed an unnecessary risk to our environment and our communities. It has also left Southern California Edison ratepayers footing a $670.8 million bill for critically flawed steam-generator equipment" (RT, 2012). Abstract: London 2012 officials have insisted there is no health risk after learning part of the planned Olympic Park is on the site of a former nuclear reactor. Conservative politicians have called for a fresh survey at the site in East London's Lower Lea Valley. But a London 2012 spokesman said the London Development Agency had already carried out a full environmental impact assessment. "It showed no evidence of any nuclear contamination," said the spokesman. Details of the reactor were revealed by a Conservative member of the London Assembly at an assembly meeting on Wednesday where 2012 team spokesman Mike Lee was questioned about the Olympics. Bob Blackman, the Tory economic development spokesman, said: "During this process, officers at the bid team have been very blase about the problems of contamination in the Lower Lea Valley, but they must take this matter seriously. "We have got a huge amount of building to do and this work cannot even start until we clean the site up." It is understood bid officials did not know about the reactor until Mr Blackman raised the issue. But they are satisfied the area was fully decontaminated 23 years ago when the reactor was decommissioned. The reactor was used by Queen Mary College's department of nuclear engineering, which is now defunct, until 1982. In a statement, the college said: "The reactor was exceptionally small; the core was the size of a bucket and produced virtually no energy. "Decommissioning staff were able to stand inside the reactor void with no protective clothing." London beat four cities to win the right to host the Games, and its bid won cross-party support. Tories say they did not raise the nuclear reactor issue earlier in case it damaged the capital's bid. And Mr Blackman believes a fresh survey of the site will help to resolve the matter. But London 2012 insiders feel he is being "mischievous", and officials have already pledged to carry out any clean-up work - where it is needed - on former industrial sites. Although many sports fans and Londoners welcome the Games being held in London, there has been opposition. Businesses at Marshgate Lane in Newham, where the new Olympic Stadium will be built, have been unhappy with relocation plans (BBC, 2012). So that is the main thing now, to keep the water out, to keep the cooling running, and build the buildings around the reactors [...] (ENE News, 2012). 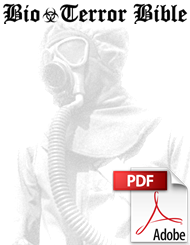 Abstract: Exactly 26 years ago there was an explosion at the Chernobyl nuclear power plant. Whole regions in Russia, Ukraine and Belarus have become unfit for life, and the number of victims has reached one million people today. And experts are still disputing about long-term consequences of the disaster. During the seventy years of its existence the Soviet regime "presented" the rest of the mankind with a lot of problems namely the spread of the "red plague" throughout the world, including China, Vietnam and some countries of Africa and Latin America; and occupation of half of Europe alongside with planting socialist principles on these territories with the help of bayonets and tanks; and the invasion of Afghanistan for the purpose of promoting its "dogma" in the southern direction. All these movements have cost the world enormous human, financial and moral losses. And yet all these "gifts" were of an archaic nature, as if from the depths of centuries, when the defeat of an enemy was achieved through the seizure of his territory, or through the victory of your ideology (or religion). Therefore, the consequences of such actions were, first of all, finite, and, secondly, reparable. Meanwhile the Chernobyl catastrophe is an event of a different kind, if we regard it as a "gift" to the mankind from a decrepit regime. First of all, two seemingly incompatible factors have joined each other: scientific-technical progress and intellectual helplessness. That is, the Chernobyl NPP (like dozens of others) was successfully built, but its safe operation turned out to be a daunting task for the sluggish Soviet bureaucratic system. Secondly, it turned out that the habit of classifying the whole lot as secret for the sake of the country’s prestige can cause irreparable damage even without malicious intent. I would like to remind you that the Soviet party leadership was concealing the information about the explosion throughout the whole week. As a result tens of thousands of unsuspecting people came out on May-Day demonstrations in Kiev, Minsk, Bryansk, and many other cities, exposing themselves to the risk of getting a serious dose of radiation. In the absence of truthful information vague rumors caused an unprecedented panic; salt and matches were sold out in a flash, and the South-Western direction railway line came in a state of collapse because of the enormous number of refugees. And, finally, the third distinguishing feature of the last "gift" of the Soviet regime is the fact that its consequences are endless and uncontrollable, and it is impossible to count the exact number of victims. Scientists are still arguing if the number of one million deaths is valid, but when such big numbers are taken into account, the one thing is absolutely clear - things are in a bad way. Besides, no one can count how many babies could not be born, and on the lives of how many subsequent generations this disaster will tell in the form of cancer. It is also worth mentioning that, if on April 26, 26 years ago the wind in the Chernobyl area was a little stronger, then, depending on its direction, today either Moscow, or Scandinavia, or the Western Europe would be a desert. A quarter of a century after the Chernobyl tragedy, an accident occurred in the Japanese Fukushima. This event caused a temptation to draw a parallel, the basic meaning of which is simple – such things happen not only in our country. From the formal point of view, it is true, but there are a few circumstances that make such a comparison incorrect. The Fukushima reactor was damaged as a result of a terrible natural disaster; it did not explode because of the negligence and carelessness of those who were obliged to prevent it. The Chernobyl accident has long been veiled in strict secrecy. Meanwhile the Fukushima events were literally happening in a live broadcast, which made it possible to mobilize not only the Japanese, but all the world’s forces and means on their localization and to prevent unnecessary losses. And, finally, a difference in the government’s attitude to those who liquidated the consequences of the two accidents at the cost of their health is obvious. Nevertheless serious differences between these disasters occurring with the difference of twenty-five years cannot serve as a consolation. Fukushima showed that Chernobyl has not served as a lesson to mankind - the nuclear energetic continues to develop, threatening the world with new troubles. Global security is sacrificed for the sake of efficiency, low prices and profit (Voice of Russia, 2012). Abstract: Britain’s nuclear industry is again the center of controversy. The UK has the biggest stockpile of Plutonium in the world, but there are no definite plans for how to get rid of it – and the delays are costing the UK taxpayer billions. A record number of radioactive particles have been found on beaches near the Sellafield nuclear plant, in North West England. The authorities who run it admit it’s the most radioactive place in Western Europe but insist it’s safe. Douglas Parr, the head scientist at Greenpeace, told RT, “Sellafield is a monument to the huge failings of the British nuclear industry” (RT, 2012). Abstract: NEW YORK TIMES: “If the Diablo Canyon plant on the California coast released a similar amount of radioactive material [as Fukushima Daiichi did], doses would be far higher even though California is far less densely settled than Fukushima Prefecture is, the study said. That’s because prevailing winds in Fukushima carried most of the contamination out to sea; in California, the researchers’ simulations showed, the radioactivity would be trapped by seasonal weather conditions and travel slowly along the coastline over populated regions of Los Angeles and San Diego before it moved offshore” (ENENews, 2012). Abstract: Engineer/Activist: The number 3 reactor… it’s the one that had this actual pinhole leak, they say it didn’t leak very much. Well, it leaked about 75 gallons a day, about as much as a bathtub of radioactive water — Which was emitted into the air, into the environment [...] If they restart it, it could shake itself to bits, even though they think it won’t, and then we could have a meltdown. So it’s very, very dangerous (ENE News, 2012). Abstract: In a letter submitted Friday afternoon to internal investigators at the Nuclear Regulatory Commission, a whistleblower engineer within the agency accused regulators of deliberately covering up information relating to the vulnerability of U.S. nuclear power facilities that sit downstream from large dams and reservoirs. At the time of the report's public release, the agency was also weighing a response to aFreedom of Information Act request for related documents from a reporter with theCascadia Times of Portland, Ore. Two months ago, the agency responded in part to that request by issuing another, similarly redacted version of the report, which wasalso published at the NRC website. "Absent these steps and fixes, it's like Charlie Brown trying to kick the football Lucy is holding on the ground," Lochbaum added. "NRC will continue missing opportunities just like Charlie keeps missing that football" (Huffington Post, 2012). Abstract: The Defense Department should take over security for U.S. nuclear weapons sites after a nuclear complex was broken into with ease in July by an 82-year-old nun and two other peace activists, a top lawmaker in the U.S. House of Representatives said on Friday. Mike Turner, the Republican chairman of the House Armed Services panel that oversees the Energy Department's nuclear weapons complex, has drafted legislation to put the U.S. military in charge of protecting facilities like the Y-12 complex in Oak Ridge, Tennessee. "The fact that this vulnerability is so widely known has got to be addressed," Turner said in an interview. The Y-12 facility, built after the September 11, 2001, attacks, had been previously touted as "the Fort Knox of uranium" and was supposed to be one of the most secure facilities in the United States. But in July, the three anti-nuclear activists cut through several fences and vandalized a building which holds the U.S. stockpile of highly enriched uranium used to make nuclear bombs. An internal Energy Department watchdog found guards ignored motion sensors because they were routinely triggered by wildlife, and a security camera that should have shown the break-in had been broken for about six months. The National Nuclear Security Administration, part of the Energy Department, is continuing to investigate what went wrong with its oversight of contractors. The facility is run by Babcock & Wilcox Co, and WSI Oak Ridge, owned by G4S, provides security. Their contracts are being reviewed, and a number of personnel have been removed from their jobs. "We have seen just an absolute failure of security at Y-12. We believe from our classified briefing that this is system-wide, that NNSA and (Energy Department) are incapable of providing the level of security necessary for our nuclear weapons facilities," Turner said. Turner, who has spent a decade monitoring issues with the Energy Department's management of the complex, said he does not believe the NNSA can fix the issues that allowed for the incursion. Putting the Pentagon in charge would increase security, allow for better technology and weapons to be used in protecting facilities, and eliminate any interdepartmental issues in sharing classified intelligence about threats, he said. Turner's bill also would charge the Pentagon with securing the transportation of nuclear materials between facilities. "I am more concerned about the transport than I am the facilities, and the facilities have already shown to be highly vulnerable," he said. Turner has so far gathered about six Republican cosponsors for his bill, which he hopes to see become part of the annual defense policy legislation when the Senate and House finalize it after the November 6 election (Reuters, 2012). Abstract: In March 2011, a devastating earthquake and tsunami set off a partial meltdown at the Fukushima nuclear plant on Japan's coast. A recent study led by European researchers found Fukushima is not alone, as 22 other plants around the world may be similarly susceptible to destructive tsunami waves, with most of them in east and southeast regions of Asia. "The location of nuclear installations does not only have implications for their host countries but also for the areas which could be affected by radioactive leaks," study researcher Joaquín Rodríguez-Vidal, of the University of Huelva, told SINC, a Spanish news agency (LiveScience, 2012). Abstract: A few days ago, The Hindu carried an article titled “The real questions from Kudankulam” (editorial page, Sept. 14, 2012). Incidentally, it was published a few days after the brutal crackdown by the Tamil Nadu police on the protesting fisherfolk who have been opposing the siting of a nuclear power plant in their midst for over two decades now. The author of the article, a physicist with a reputed scientific research institution, questioned the agency of the protesting fisherfolk by bracketing them as “victims only of unfounded scaremongering” who were purportedly being misled by “educated purveyors.” The article claimed that the debate around Kudankulam has not been a “genuine” one and has been in abstraction, mostly around the “desirability of nuclear power” rather than “mechanisms” to make it safe. The claim being modern technology, maintenance and safety standards will make it “safe.” Notwithstanding of course the ideal scientifically “controlled” conditions vs ground realities. If one looks at the dubious track record of nuclear power plants across the world and its horrendous reputation of regularly exposing its workers and residents to dangerous levels of ionising radiations, the disconnect is pretty obvious. In 1957, a fault in the cooling system in Kyshtym nuclear complex in Russia led to a chemical explosion and the release of 70-80 tonnes of radioactive material into the air, exposing thousands of people and leading to the evacuation of thousands more. Major accidents, which have killed, maimed and exposed large populations of worker and local residents, have been reported from various other nuclear facilities — Windscale nuclear reactor, U.K. (1957); Idaho National Engineering Laboratory, U.S. (1961); Three Mile Island power plant, U.S. (1979); Chernobyl power plant, Russia (1986); Seversk, Russia (1993); the Tokai-Mura nuclear fuel processing facility, Japan (1989); Mihama power plant, Japan (2004); Fukushima Daiichi power plant, Japan (2011) and the Marcoule nuclear site, France (2011). All these incidents and many more unreported ones including from India have obviously raised questions about the desirability of nuclear energy and any real possibility of it being “safe.” While environmental and health risks of radiation are now scientifically known, the magnitude of the impact of accidents such as a Fukushima or Chernobyl takes a long time to play out in a real world situation. The fact that in each of these places people have not been able to return to their homes, that their lives have never been normal again, and that they constantly live under the shadow of diseases and death makes nuclear energy patently dangerous. And on top of it, the obtuseness of governments to disclose information related to nuclear, civilian or military, makes it even worse. Take for instance the confession by the Japanese government in June 2012 that it had withheld from the public important radiation maps provided by the U.S. Energy Department post-Fukushima. The information revealed that residents in an area northwest of the Fukushima Daiichi nuclear power plant were being exposed to their annual permissible dose of radiation within eight hours. This meant that these residents were not evacuated by the government to a safer place, an act that can be termed criminal. In France, over 20,000-30,000 workers dubbed as “nuclear nomads” are subcontracted annually in the 58 nuclear reactors operated by Électricité de France S.A. (EDF) located in 20 sites which contribute 78 per cent of the electricity produced in the country. EDF subcontracts over 1,000 companies, who employ the “nuclear nomads,” sometimes of foreign origin, to do the dangerous maintenance, repair and clean-up work in these plants, exposing them to ionising radiations. In her book “Nuclear Servitude: Subcontracting and Health in the French Civil Nuclear Industry,” French social scientist Annie Thébaud-Mony has highlighted this division of labour and “risk” by subcontracting dangerous work in the French nuclear power industry. In the aftermath of the Fukushima disaster, over 18,000 workers were hired to clean-up the power plant, who were all subcontracted to do dangerous radioactive clean-up work. These men, hailed as “national heroes” by many, were actually local residents rendered unemployed by the disaster or were daily wagers from city slums. Since the 1970s, Japan has had a dubious track record of subcontracting maintenance work of reactors to outside companies which hire workers on a short-term basis who remain employed till they reach their radiation exposure limit (Nuclear Nomads: A look at the Sub-contracted Heroes by Gabrielle Hecht in The Bulletin of the Atomic Scientists, January 9, 2012). In the case of Kudankulam, the fisherfolk have been raising similar questions. They have been asking to see the disaster management plan which, till date, remains a secret, even under the Right to Information Act. Given the inherent uncertainties of natural disasters, questions about preparedness to mitigate impact of calamities such as tsunami waves of higher magnitude are being asked. An inadequate reserve of fresh water for cooling as well as a lack of back up electricity are concerns that have been raised by people and their expert committee many times but consistently dodged by the government and officials of the Nuclear Power Corporation of India Ltd. Secrecy shrouds the fate of the radioactive spent fuel, its reprocessing and transportation. All these questions and more remain unanswered. Are all these issues a debate in abstraction? Is questioning the “desirability” of nuclear power not a valid one given the above track record? If this is not concrete, what is? (The Hindu, 2012). Abstract: Nuclear reactors in the mid-Atlantic and Northeast are being monitored for potential impacts by Hurricane Sandy, a Category 1 storm that may strike anywhere from Delaware to southern New England. The NRC met earlier today to discuss the necessary precautions to take for the storm, Sheehan said. Plants must begin to shut if wind speeds exceed certain limits, he said. As of 2 p.m. New York time, Sandy had winds of 75 miles (121 kilometers) per hour, according to the National Hurricane Center in Miami. It was about 430 miles south-southeast of Charleston, South Carolina, moving north at 7 mph. The current Hurricane Center track calls for the system to come ashore just south of Delaware Bay on Oct. 30. Nuclear plants in the projected path of the hurricane include North Anna and Surry in Virginia, Calvert Cliffs in Maryland, Hope Creek and Salem in New Jersey, Indian Point in New York and Millstone in Connecticut. The NRC is considering enhancing inspector coverage of these reactors, Sheehan said in an e-mail today. Public Service Enterprise Group must shut all units at the Salem and Hope Creek plants two hours before the onset of hurricane-force winds greater than 74 mph, according to Sheehan. An “unusual event” would be declared if the winds are sustained for greater than 15 minutes or if the water level reaches 99.5 feet or higher, he said. Such an event is the lowest of four level of emergency used by the commission. Salem Unit 2 is currently shut for refueling, while Unit 1 was operating at 83 percent of capacity today during maintenance on the circulating water system. Hope Creek ran at full power. The three units have a combined capacity of 3,365 megawatts. Nuclear generation in the Northeastern region dropped 1.1 percent to 18,016 megawatts, with seven plants shut, an NRC report today showed. Dominion Resources’s Millstone plant is monitoring Sandy’s progress and preparing to adjust staff as it comes closer, according to Ken Holt, a plant spokesman based in Richmond, Virginia. The plant must shut if winds reach 90 mph. “We would shut down in advance of the storm if they were expected to be 90 miles per hour at the site,” Holt said by phone today. “Floods and high winds are a threat because they can knock off off-site power and we’d then need to activate emergency generators for power to put the plant to safe conditions” (NJ.com, 2012). Title: How Many People Live Near A Nuclear Power Plant In The USA? Abstract: 5 nuclear power plants (with 104 reactors) are currently in operation in the United States. After radioactive material escaped from Japan’s Fukushima power plant, everyone within 30 kilometres (18 miles) of the plant was evacuated. Our map shows how many people live close to US nuclear power plants who would have to be evacuated in a similar situation. We have also included three canadian nuclear power plants that border on US. A total of 17,155,535 people (≈6%) live within 19 miles of a nuclear plant. The population of the individual counties was used as a basis for calculating the potential number of people affected. The percentage of the county covered by the radius was then used to calculate the figure (Zeit Online, 2012). Abstract: Japanese nuclear regulators inspected ground structures at the country's only operating nuclear power plant Friday to examine if an existing fault line is active. The inspection will determine whether the Ohi plant in western Japan should close. Its No. 3 and No. 4 reactors went back online in July, becoming Japan's only operating reactors after all 50 Japanese reactors went offline for inspection after a March 2011 earthquake and tsunami triggered a meltdown crisis at Fukushima Dai-ichi nuclear plant. If the fault that cuts across the plant is judged active, Ohi must be closed. Government's safety guidelines ban a nuclear plant directly above an active fault. The Ohi plant's shattered zone in question won't trigger an earthquake but could move with active faults near the plant's perimeter. If that happens, the movement could damage a water pipe to bring in water to cool reactors in an emergency. The north-south fault cuts between the No. 1-2 reactors and the No. 3-4 pair. Ohi's operator Kansai Electric Power Co., which had earlier failed to produce a document of the suspected fault despite repeated requests, submitted its preliminary findings of a government-ordered internal investigation that they found no further evidence suggesting an active fault. Prime Minister Yoshihiko Noda, who faced massive protests after ordering the restart for the two reactors, told reporters that he would abide by any decision by the regulators (Fox News, 2012). Abstract: China and Pakistan reached a formal agreement last month to construct a third nuclear reactor at Chashma that the Obama administration says will violate Beijing’s promises under an international anti-nuclear weapons accord. According to U.S. intelligence and diplomatic officials, the secret agreement for the Chashma 3 reactor was signed in Beijing during the visit by a delegation from the Pakistan Atomic Energy Commission from Feb. 15 to 18. The agreement calls for the state-run China National Nuclear Corp. (CNNC) to construct a 1,000-megawatt power plant at Chashma, located in the northern province of Punjab, where two earlier Chinese reactors were built. China’s government last month issued an internal notice to officials within its nuclear establishment and to regional political leaders urging care to avoid any leaks of information about the nuclear sale that Beijing expects will be controversial, said officials who spoke on condition of anonymity. The reactor deal had been in the works for several years and prompted high-level U.S. government efforts to block the sale because of concerns it will boost Pakistan’s nuclear weapons program. The CNNC is China’s main nuclear weapons producer and has been linked in the past to Pakistan’s nuclear arms program by U.S. intelligence agencies. CNNC sold thousands of ring magnets to Pakistan during the 1990s that were used in centrifuges that produced highly enriched uranium for weapons. Additionally, recent U.S. intelligence reports indicate that China, which supplied Pakistan with nuclear weapons design data and technology, is in the process of modernizing Islamabad’s nuclear arsenal, which is estimated to contain as many as 110 warheads. The arms cooperation is said to include development of a new warhead for Pakistan’s growing missile arsenal as well as assistance in reprocessing spent nuclear fuel. The report warned that spent fuel from Pakistan’s Karachi and Chashma nuclear power plants are vulnerable to theft or attack. Pakistan produced one of the most dangerous cases of nuclear proliferation in the early 2000s when weapons technology was supplied to Libya, Iran, and North Korea by the supplier group led by Pakistani nuclear scientist A.Q. Khan. The Obama administration has not publicly contested the nuclear cooperation between the two countries in the past to avoid upsetting U.S. covert efforts against Islamist terrorism in the region. The Beijing-Islamabad nuclear cooperation also has been limited as a result of U.S. efforts to win Chinese support for sanctions on Iran for its illicit nuclear program. The new reactor sale also will undermine the Nuclear Suppliers Group, a voluntary association with no enforcement mechanisms that is viewed as a key tool in the administration’s effort to prevent the spread of nuclear weapons. China in 2004 joined the group and agreed not to sell additional reactors to Pakistan beyond the two reactors sold earlier. China is not permitted under NSG guidelines to sell nuclear goods to any country that is not part of the International Atomic Energy Agency. Two U.S. officials confirmed that the Chashma reactor deal was finally reached. Spokesmen for the Chinese and Pakistani embassies could not be reached for comment. A State Department official declined to provide details of the sale but said it is not permitted under the U.S. understanding of China’s admission to the nuclear group. That understanding is that China would not sell additional reactors to Pakistan’s Chashma complex. “Nuclear Suppliers Group (NSG) participating governments have discussed the issue of China’s expansion of nuclear cooperation with Pakistan at the last several NSG plenary sessions,” the official said. The administration is expected to protest the sale at an upcoming NSG meeting in June. Pakistan does not have full-scope IAEA safeguards in place, something that is required before China could provide the third Chashma reactor. China agreed as part of its NSG membership that it would limit future reactor sales to Pakistan to the Chashma 1 and Chashma 2 reactors. The officials said China specifically directed Pakistani officials not to make the latest reactor deal public. Beijing sought to avoid the negative publicity expected from the deal that could upset the leadership transition that took place last week at the National People’s Congress, the communist mock parliament that formally appointed top communist leaders to government posts, the officials said. China also sought to keep the reactor agreement secret from the United States, which this year is serving as the rotating head of the NSG. The Chinese also urged the Pakistani delegation from the Atomic Energy Commission to play down the recent transfer of control to a Chinese company of the key port of Gwadar that U.S. officials said likely will be used by Chinese warships for port calls. The port is close to the Persian Gulf, where some 20 percent of the world’s oil is produced. The deal for Chashma was announced in July 2010 during the visit to China by Pakistani President Asif Ali Zardari. However, the announced arrangement was limited to a memorandum of understanding (Washington Times, 2013).